"extremely intelligent with a natural aptitude for education and employment law"
Oliver Hyams specialises in employment and education law, professional disciplinary matters and related areas such as the regulation of care homes. He has long and deep experience of fighting public law cases, and has significant experience of advising on and making claims of misfeasance in a public office. He has significant experience of advising on, and fighting, claims concerning pension rights. Oliver has appeared in many reported cases, most of them concerning the law of employment or the law of education. Oliver is the immediate past Chair of the Education Law Association, and he remains a very active member of the Executive Committee of that Association. Oliver has written three legal textbooks as the sole author: Law of Education, a comprehensive practitioners’ text, the second edition of which was published by Jordans in 2004, Employment Aspects of Business Reorganisations, published in 2006 by Oxford University Press, and Employment in Schools – A Legal Guide, the second edition of which was published by Jordans in 2007. He was the consultant editor for the Education title in Halsbury’s Laws (vols 35 and 36) for the 2007 and 2011 editions, and he has contributed chapters to a number of books, including Equality and Discrimination – the New Law, published by Jordans in 2010. Before that he co-wrote the chapter on post-termination restraints on employees for the Law Society’s publication Managing People in a Legal Business. Oliver contributed annotations for almost all education and some employment statutes for Current Law Statutes from 1998 until 2011. Oliver’s employment law practice is broad-ranging, encompassing all of the kinds of claims decided by employment tribunals, claims for breach of contract, restrictive covenant cases, and employment law issues arising in relation to pensions. Oliver's education work is wide-ranging. He frequently appears in judicial review cases in the High Court and appeals from the SENDIST (now the First-tier Tribunal). He also appears in the First-tier Tribunal (now only in Wales as far as education cases are concerned) as well as in county court and High Court private law claims concerning education in schools, further education institutions and higher education institutions. Oliver undertakes professional negligence work against lawyers practising in his own specialist fields, such as the law of employment. Education negligence cases are a form of professional negligence claim, and Oliver has much cutting edge experience of education negligence cases, including in relation to the supervision of post-graduate research. 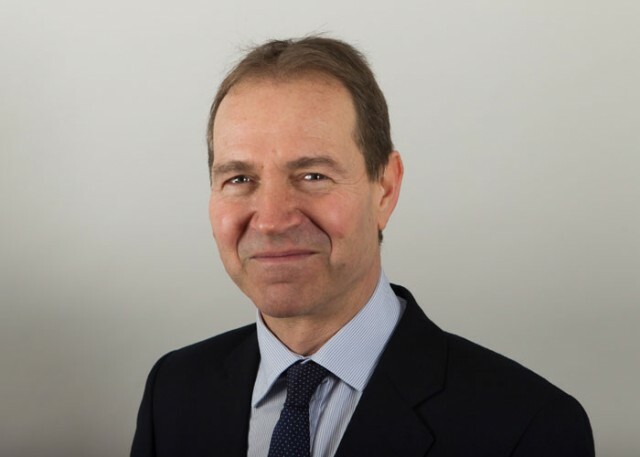 Oliver has expertise in regulatory and discipline work concerning in particular doctors, dentists, teachers, social workers, nurses, midwives, and the regulation of care and nursing homes. By way of example, in the latter regard Oliver has appeared in the First-tier Tribunal in cases concerning care homes, and a Magistrates’ court in a long fight with Ofsted which was seeking an emergency order under section 20 of the Care Standards Act 2000, seeking to close down a residential special school. In addition, Oliver has appeared before the General Dental Council for clients on a number of occasions and he has appeared in General Teaching Council hearings on a number of occasions. Oliver has appealed decisions of the General Medical Council and advised on such appeals on a number of occasions. In relation to partnerships, Oliver has ever increasing experience of claims by partners of discrimination or (in the case of salaried partners) unfair dismissal. He has also advised on and where appropriate redrafted the terms of partnership agreements. While Oliver's work is predominantly in the fields of employment or education, he has appeared in a number of public law cases over the years outside the field of education. An example is R. (on the application of Rudewicz) v Secretary of State for Justice  EWCA Civ 499;  Q.B. 410. Oliver has also appeared in the First-tier Tribunal in relation to care homes and schools on a number of occasions. He appeared in the case of ​Menon v Herefordshire County Council​, one of the few cases on misfeasance in public office which get to a contested hearing on the facts. One aspect of that case led to the judgment of Lewis J reported at  A.C.D. 144;  P.T.S.R. D56, concerning the application of legal professional privilege where misfeasance in public office is claimed. The case itself was a claim of misfeasance in relation to the de facto closure by a local authority of a care home, where no emergency order under section 20 of the Care Standards Act 2000 had been made. Oliver has successfully defended an application for such an order in relation to a residential special school.